Mesotherapy involves a simple series of injections which help break down unwanted small localized areas of fat. This process of breaking down body fat is referred to as lipolysis. This method of spot fat reduction by injecting solutions into the skin is incorporated in many name-recognized procedures. Some physicians add additional treatments to increase the effectiveness. 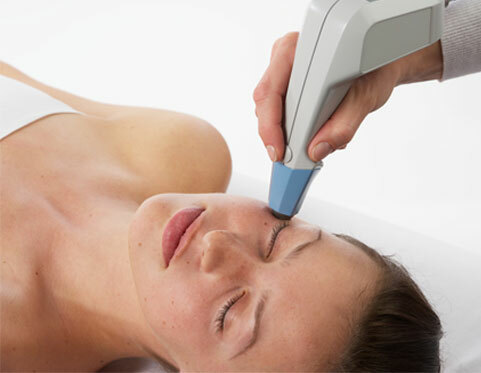 Among these are ultrasound (which Dr. Neeraj uses because there is no discomfort involved), VelaSmooth or Endermologie. Areas treatable with injection-based lipolysis include: Upper and lower abdomen, highs, Upper arms, Fat bulges below the bra-line, Residual fat deposits post-liposuction. During your treatment, the solution is injected directly into the fat layers and connective tissue. Using CaviLipo combined with different Radio Frequencies, the Ultrasound-Cavitation treatment allows your body to break down fat cells. These cells are then metabolized through your body’s natural removal processes. Unlike traditional liposuction, CaviLipo uses no injections, anesthesia, and there is no down time making it the perfect treatment for removal of fat and cellulite. 1 - Painless and Non-Surgical way to remove fat and cellulite. 2 - Reduce fat in problem areas: Thighs, hips, stomach, back, arms, chin, etc. 3 - Tighten and tone skin, reduce sagging skin. 4 - It is FAST and EFFECTIVE. Start seeing results after just ONE 30-50 minute session! 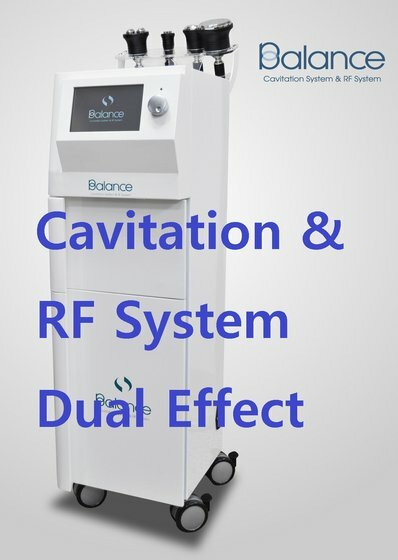 Exilis Elite is the only monopolar RF (Radiofrequency) system to incorporate ultrasonic energy in one hand piece. Exilis causes both shrinking of loose tissue immediately, as well as long term collagen production that lifts and tightens loose skin over time. It is very useful in many areas such as jowls, neck, brows and especially the abdomen. During an Exilis treatment, precisely controlled radio frequency energy and focused ultrasound to heat the deeper layers of the skin. This heat causes fat cells to shrink and contracts the skin tissue, stimulating new collagen production in the process. 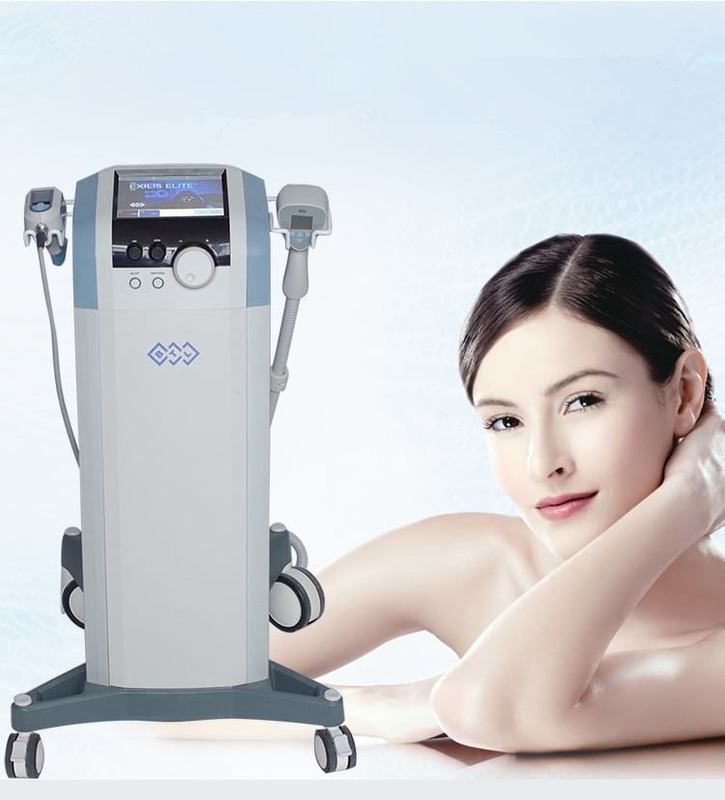 Exilis is recommended for any patient between the ages of 25 and 70+ who desires cosmetic improvement, particularly those areas that show the signs of aging, and have not responded to other treatment options.